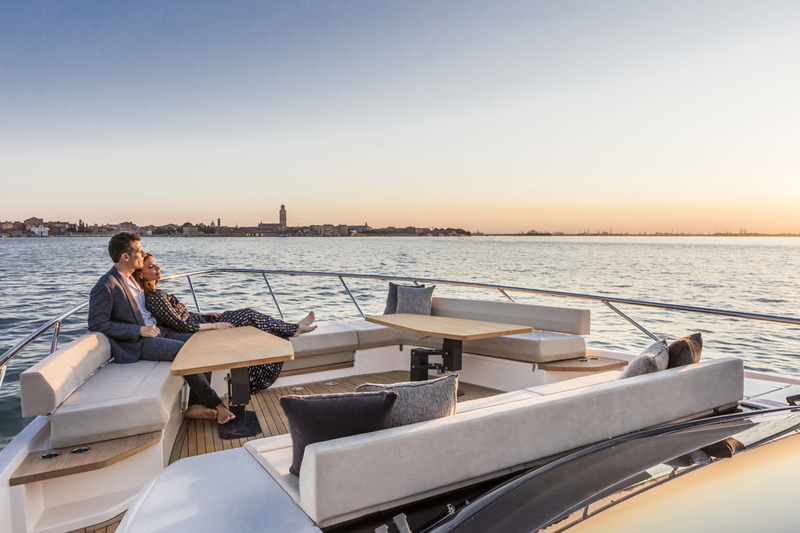 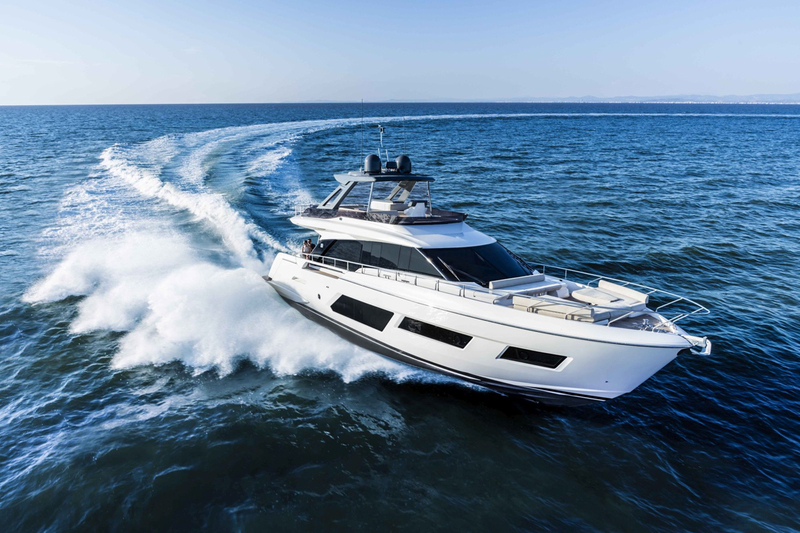 The Ferretti Yachts 670 is our first gift to the yachting world, and to ourselves, to celebrate 2018 – our 50th anniversary year – in style. 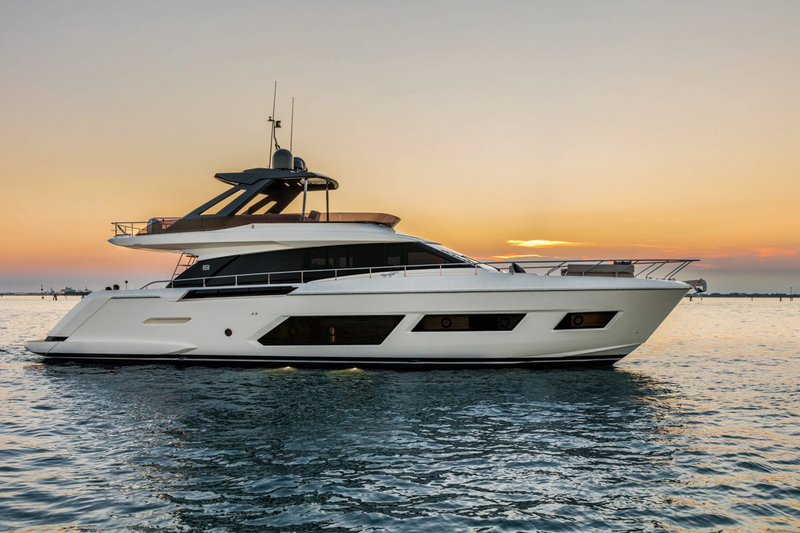 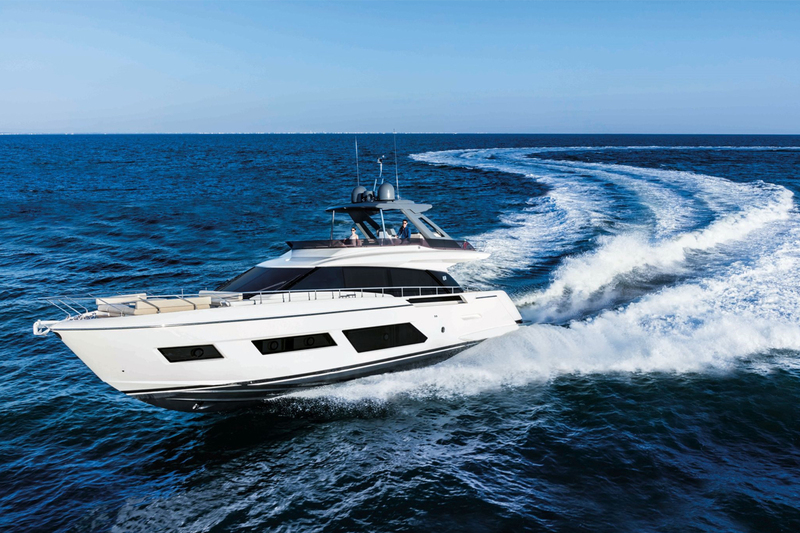 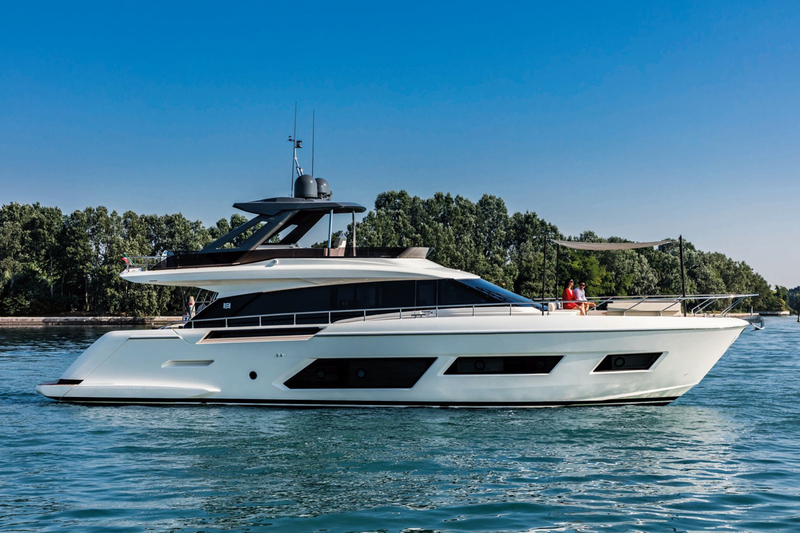 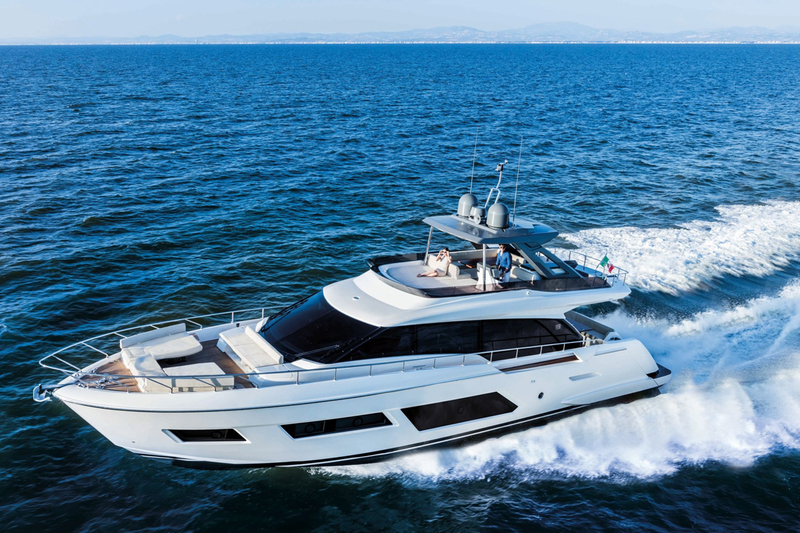 The Ferretti Yachts 670 – which enters production in January 2018 – is the natural heiress to the much-loved 65-footer. 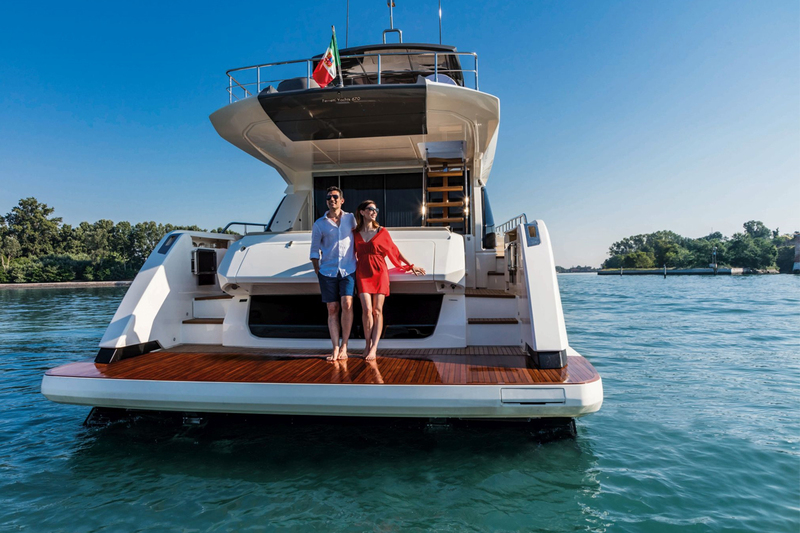 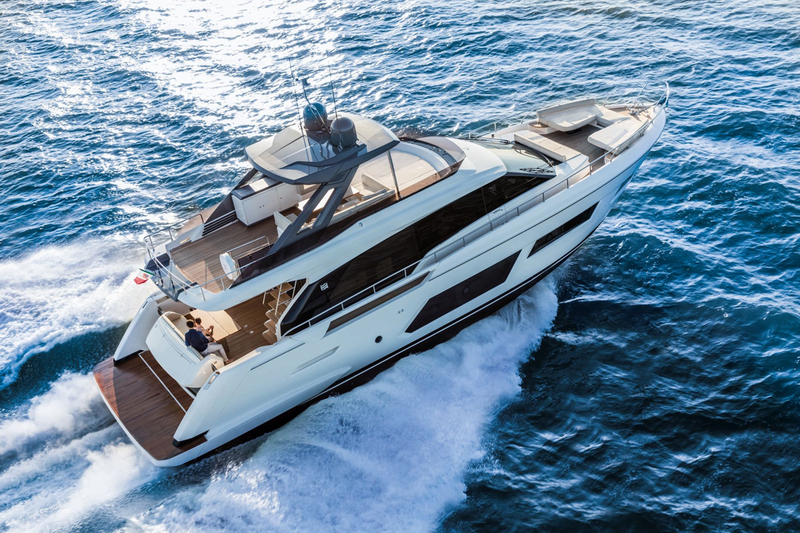 A model of smart evolution, she combines some of the features from the 2016 and 2017 boats (the Ferretti Yachts 450, 780, 850 and 920) with some major innovations of her own. 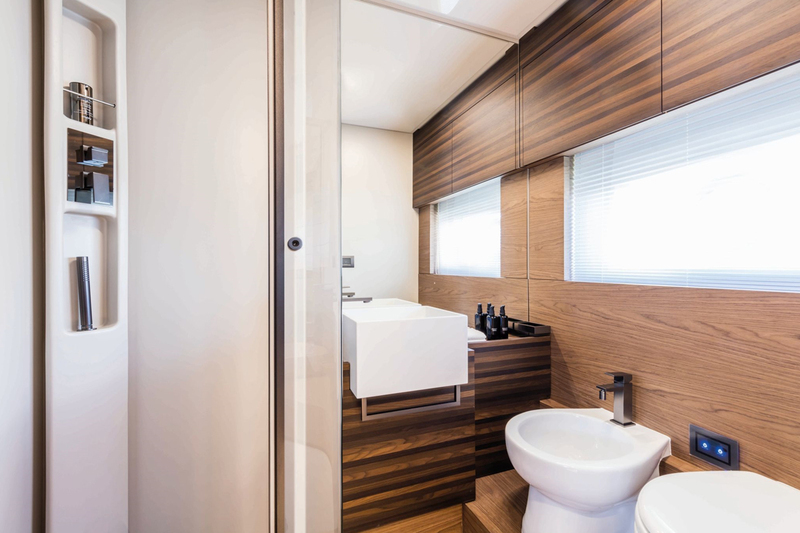 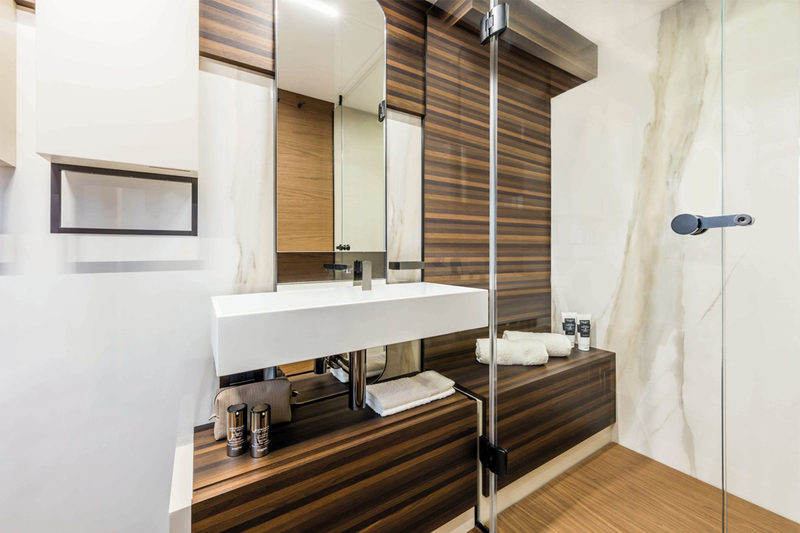 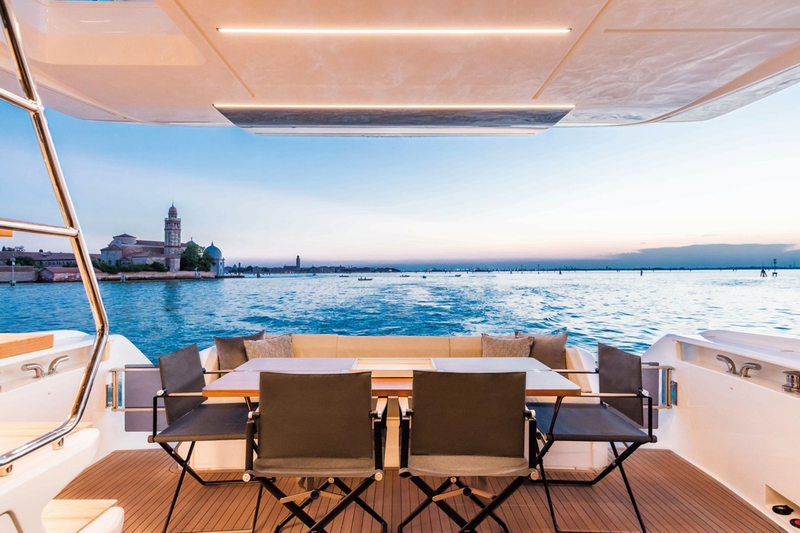 As a striking example, the excellent use of space, inside and out, assures the owner and their guests a perfect blend of conviviality and privacy. 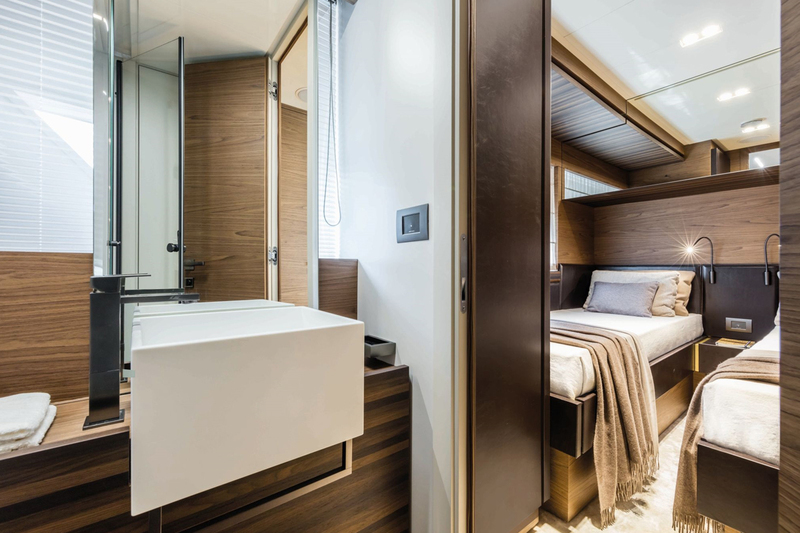 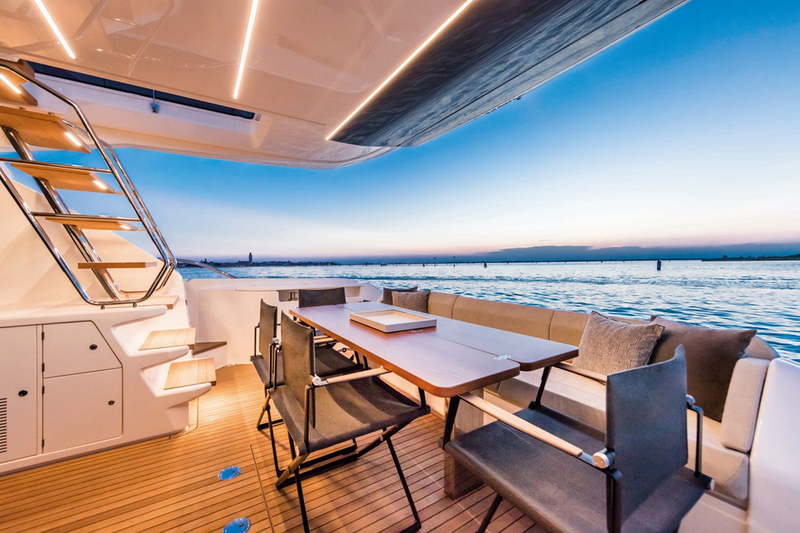 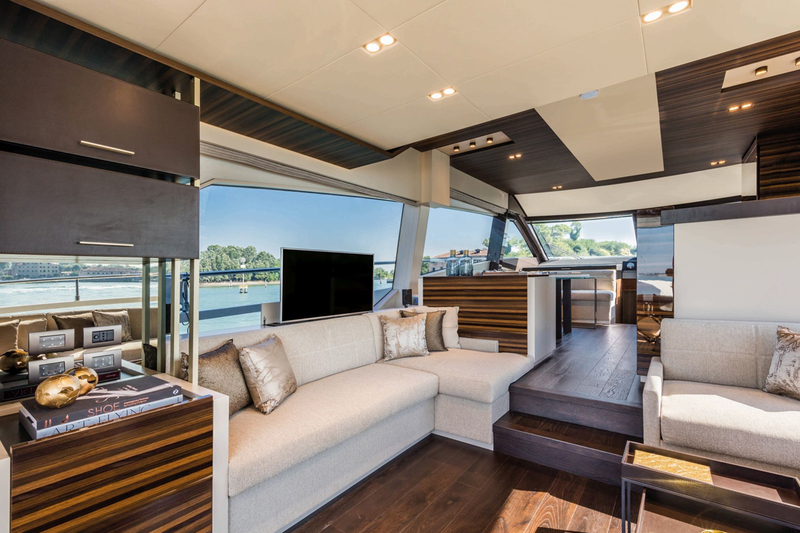 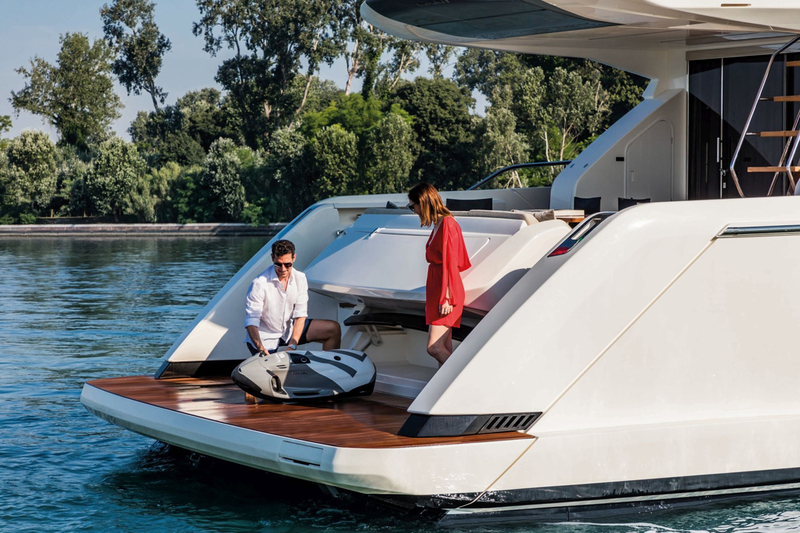 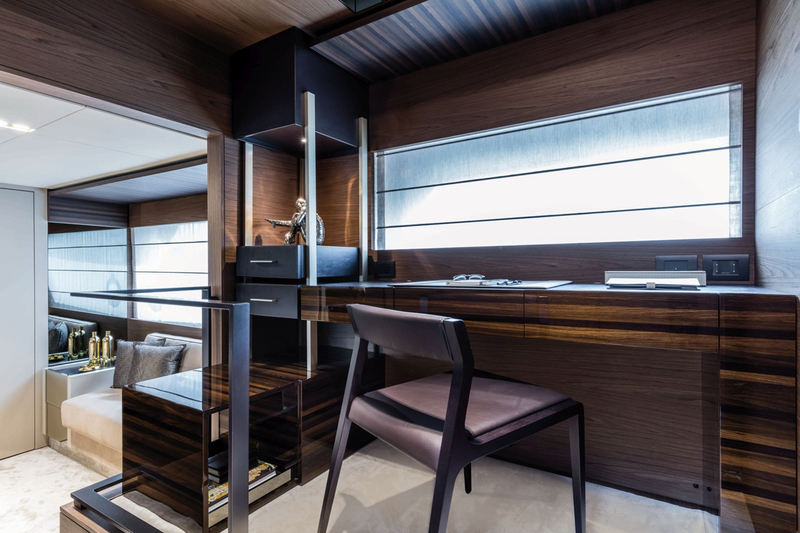 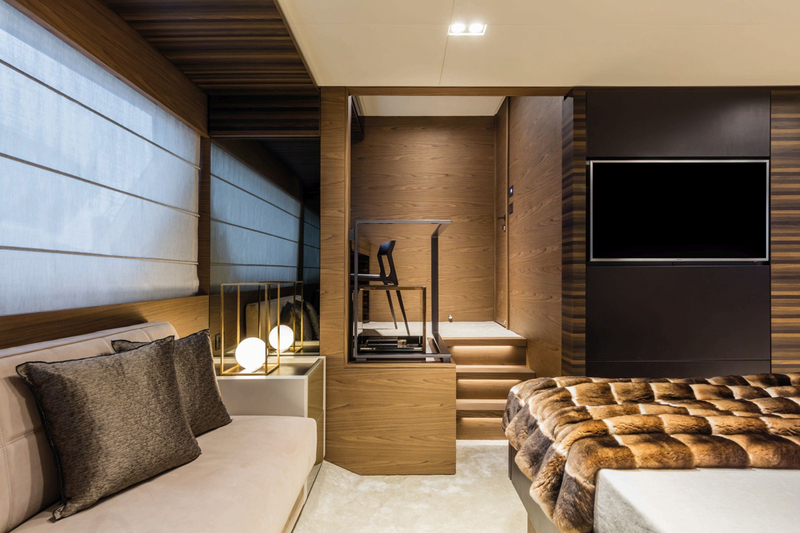 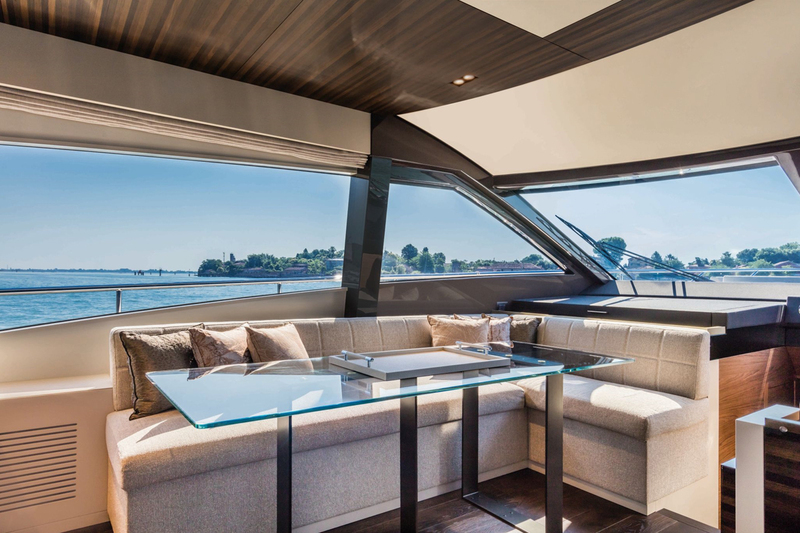 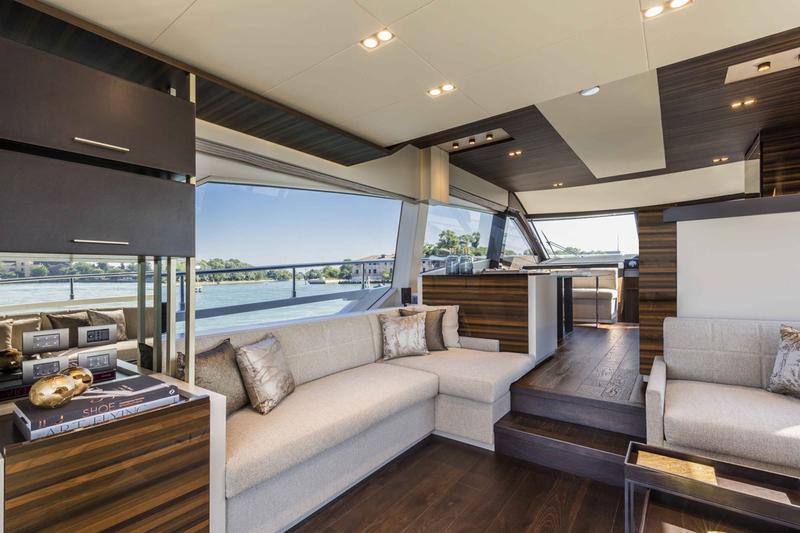 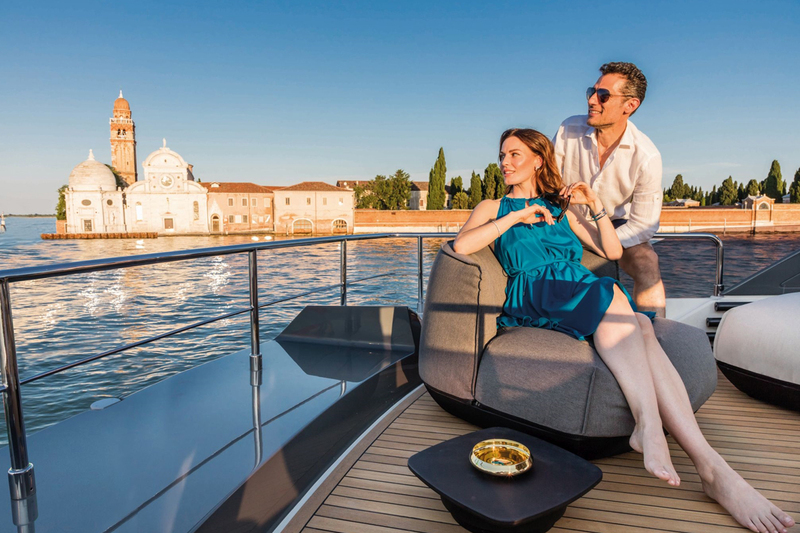 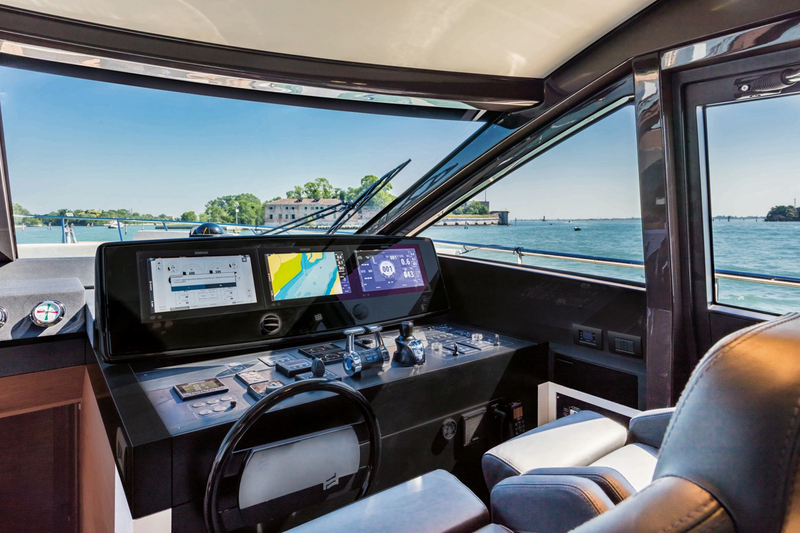 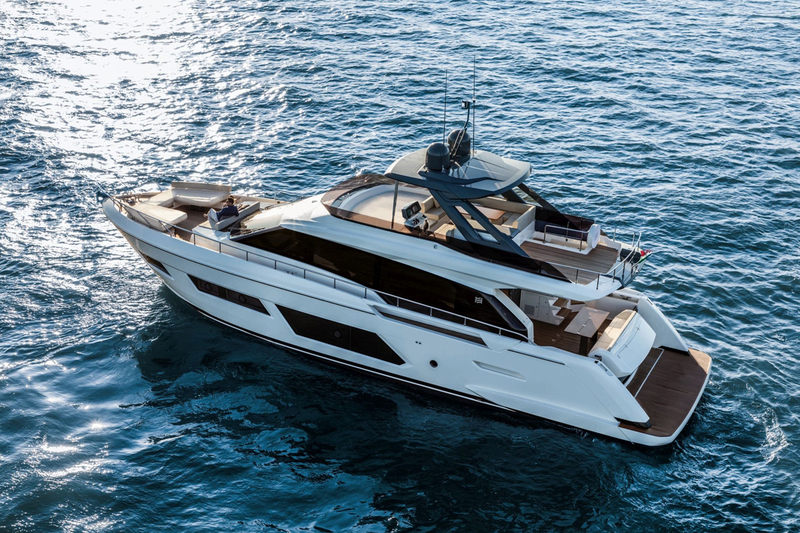 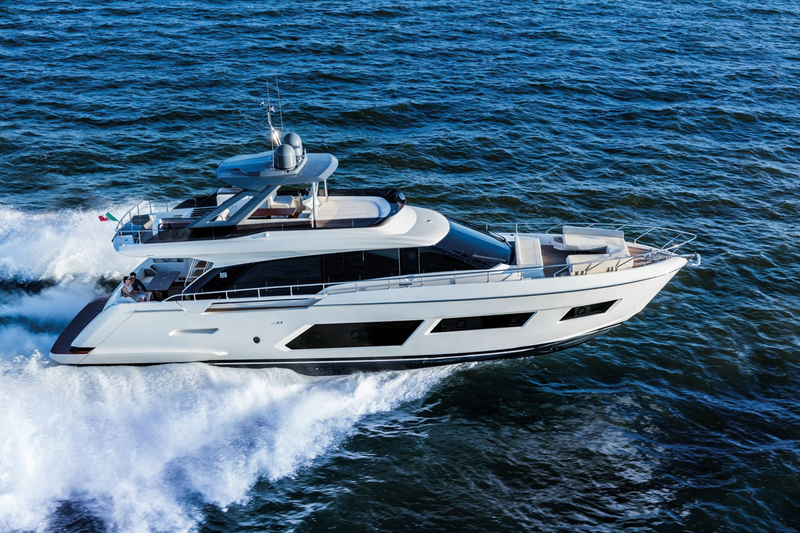 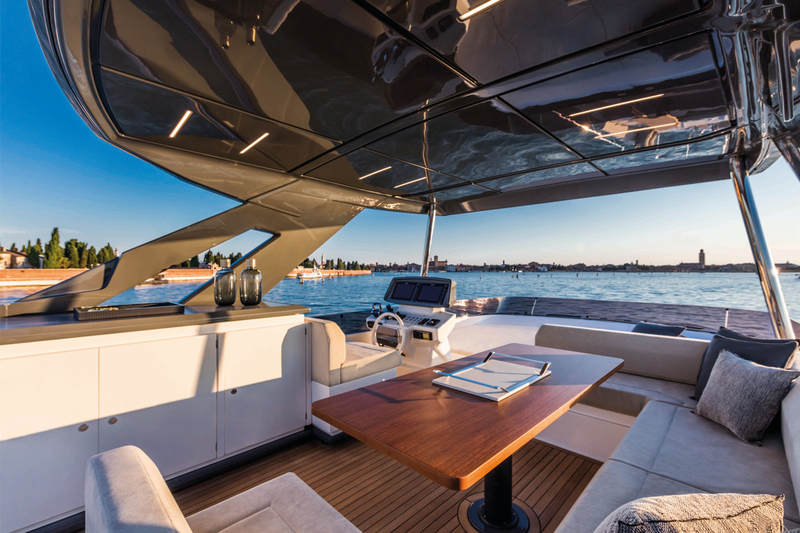 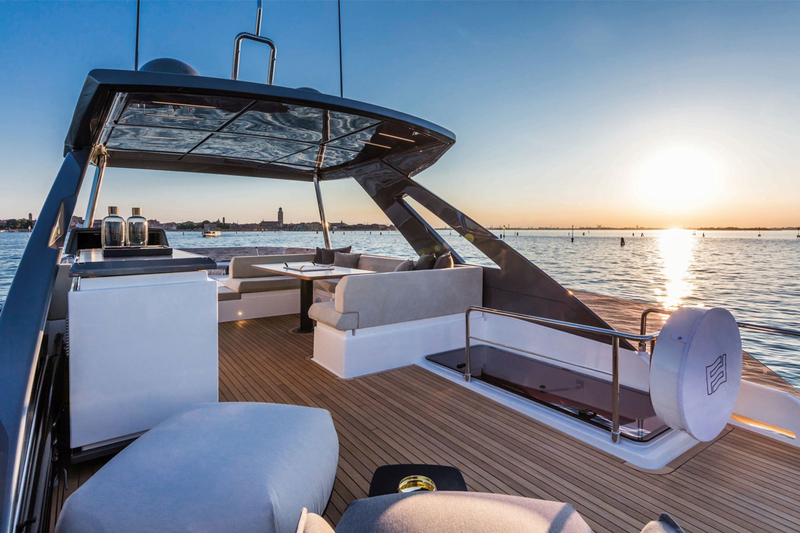 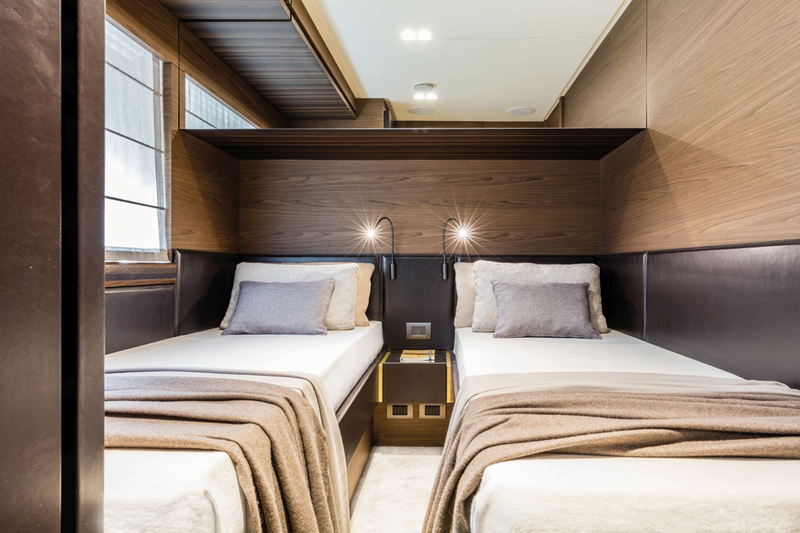 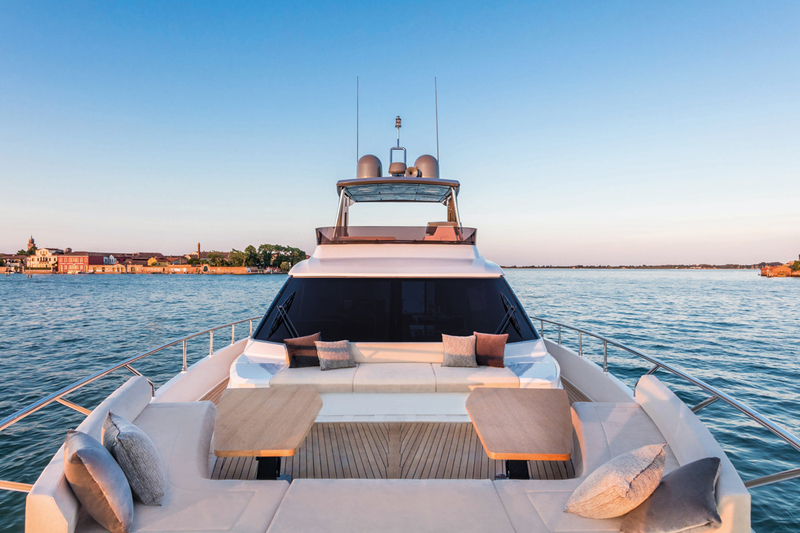 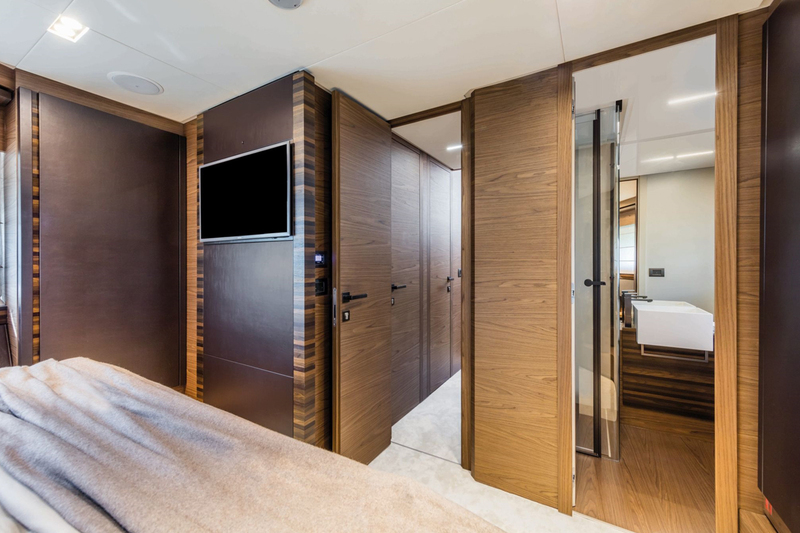 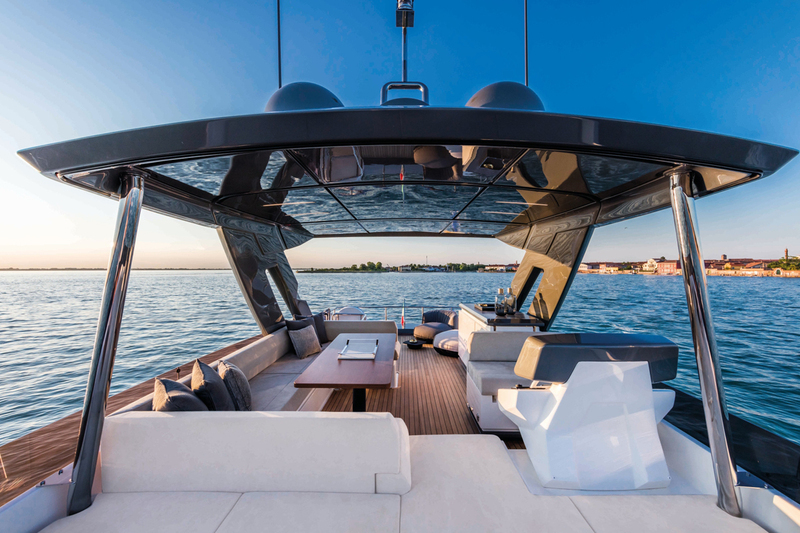 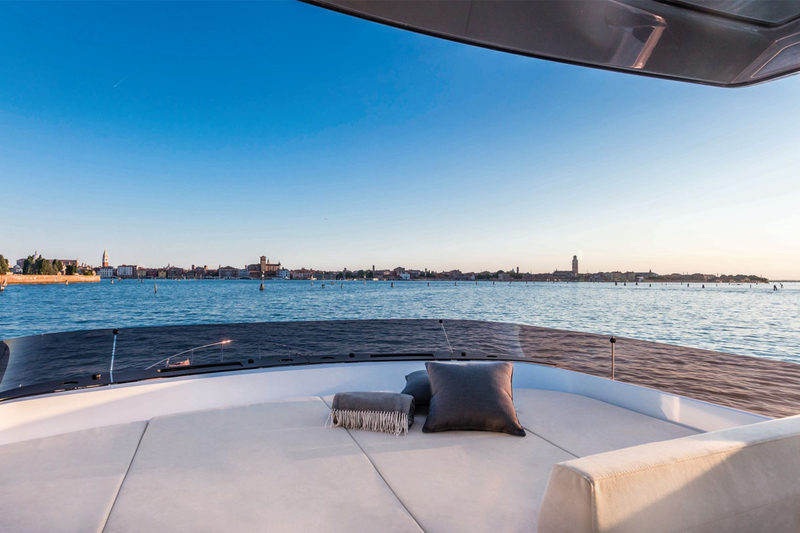 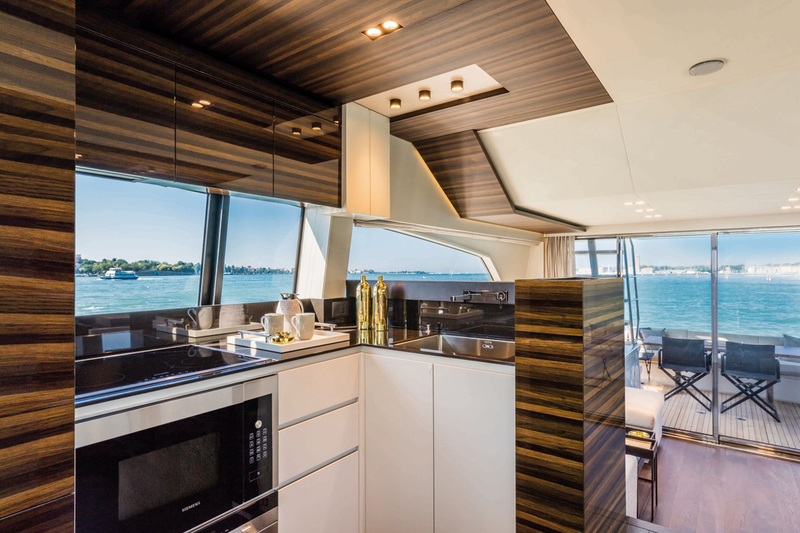 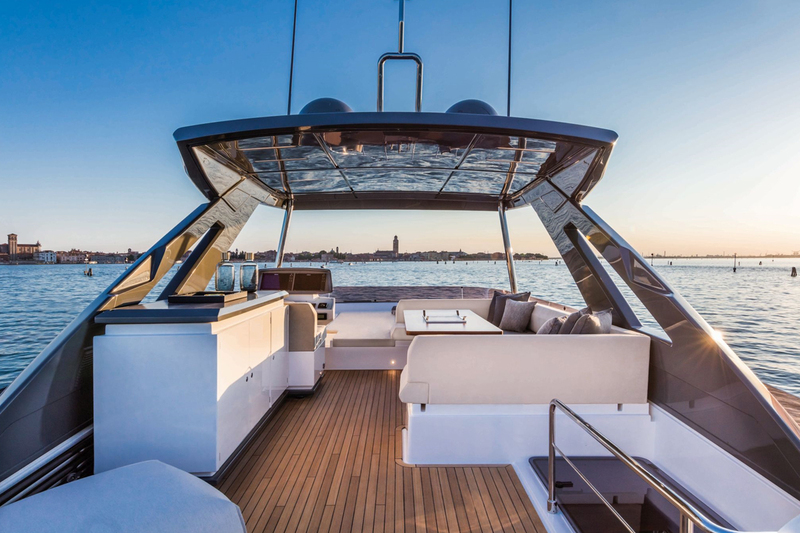 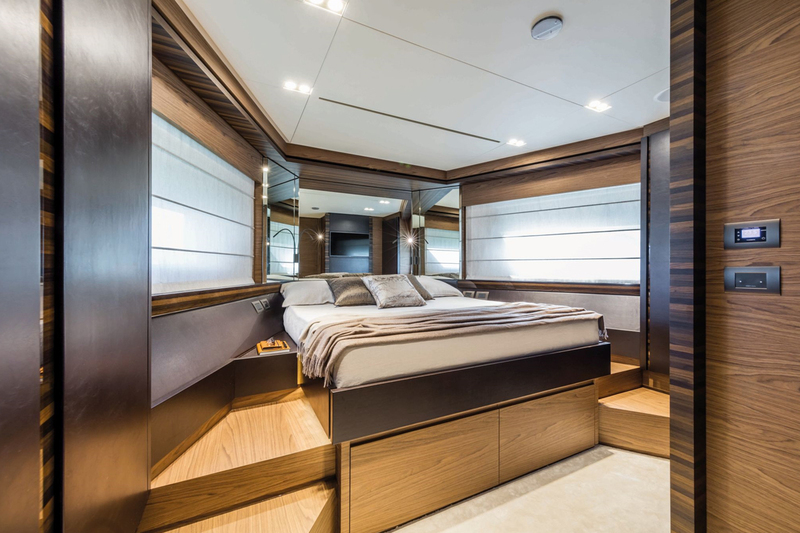 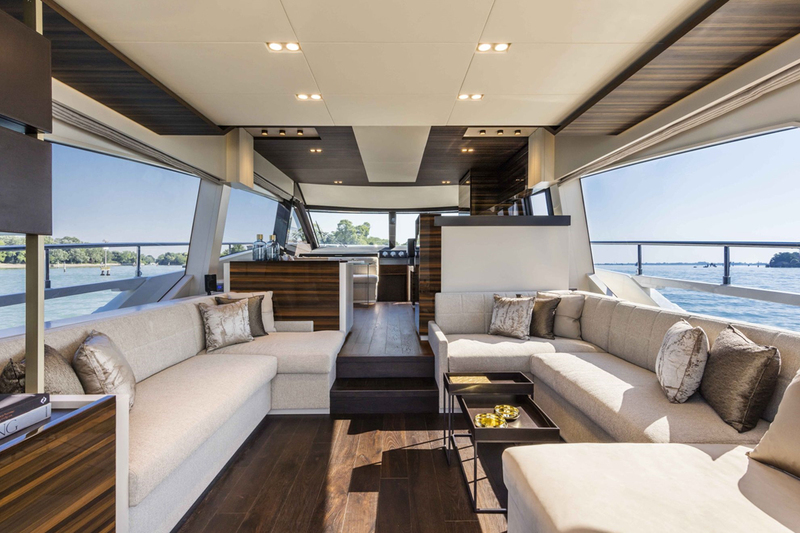 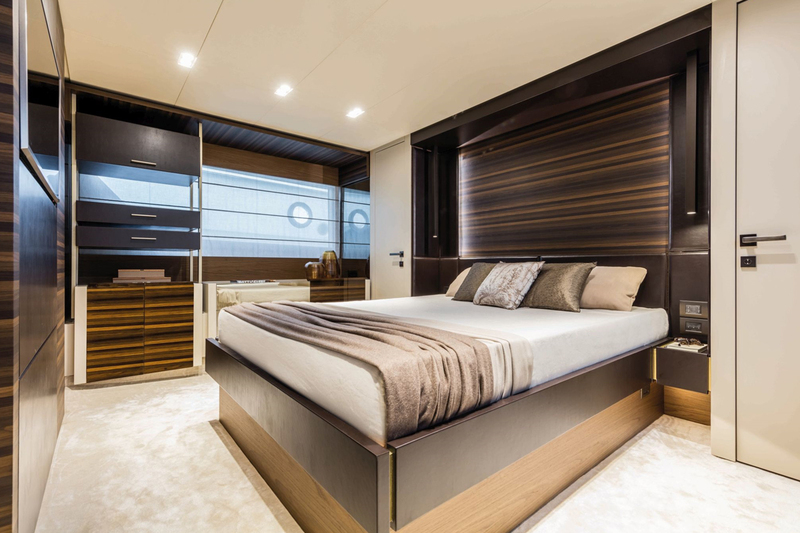 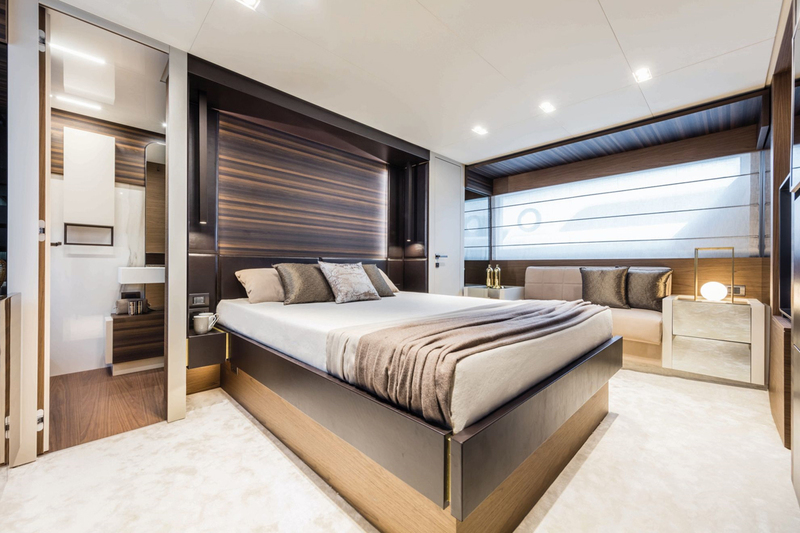 The Ferretti Yachts 670 is actually a 67-footer (measuring 20.24 m) with amenities typically found on larger vessels – as you can see from the layout: the standard version offers 3 generous cabins on the lower deck. 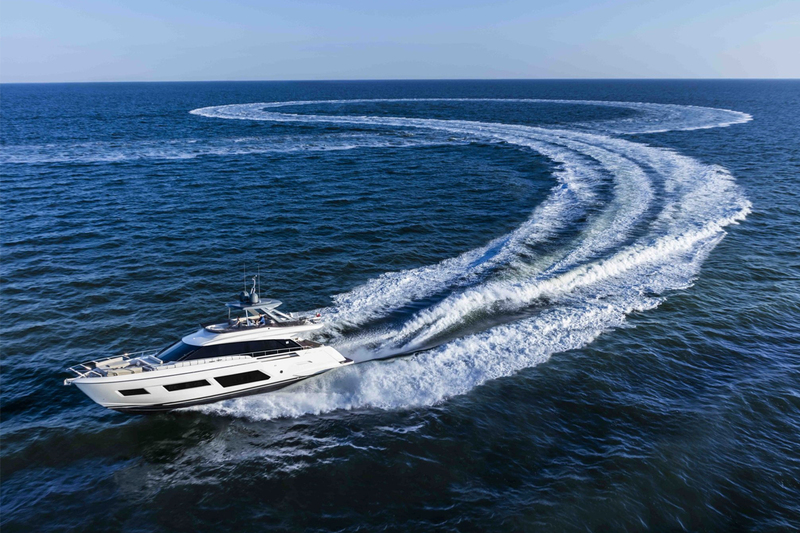 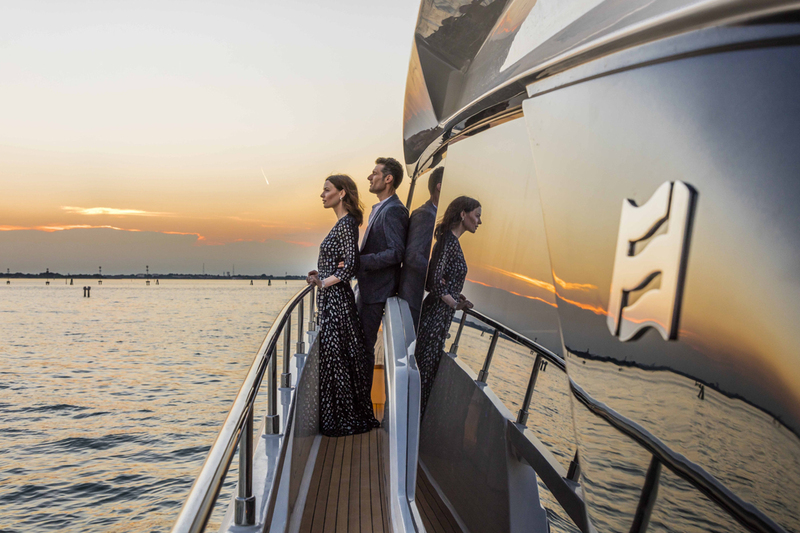 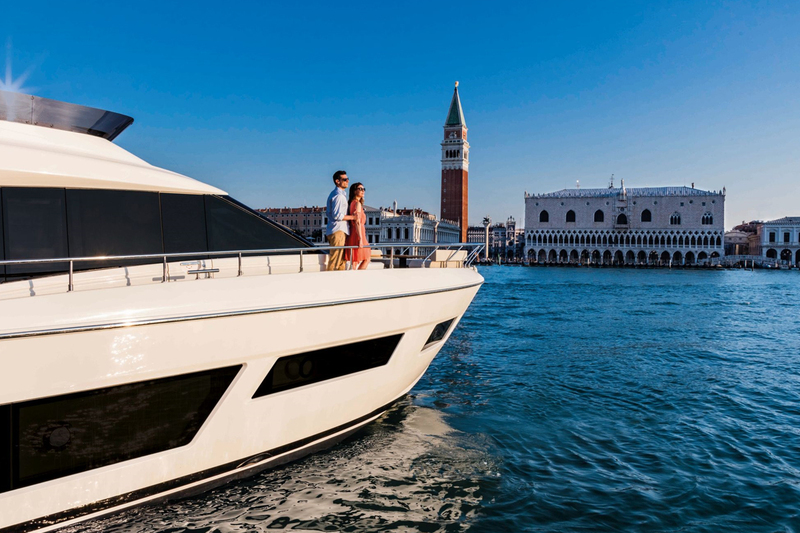 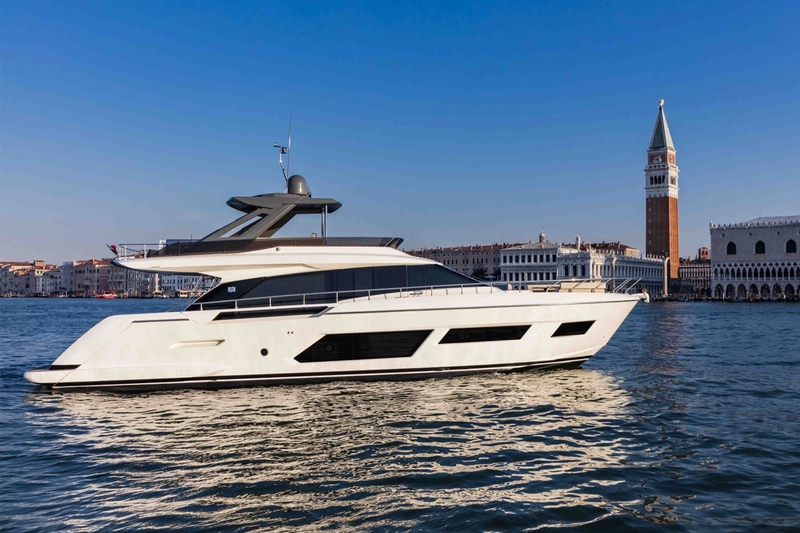 Meanwhile, the aerodynamically designed exteriors revel in clean shapes and sinuous lines, riding the wave of success enjoyed by the last Ferretti Yachts unveiled in 2017: the 780 and 920.